The American Health Council is honored to welcome April Scott, RN to its Nursing Board for her outstanding contributions to improve mental health. As a psychiatric clinical nurse specialist at Indian Health Service in Phoenix, Ariz., Ms. Scott ensures that each patient receives high-quality care through her nursing, mental health, behavioral health and psychiatry expertise. Although she has held that role for six years, she has garnered impeccable skills during a 25-year career in the healthcare industry. Her passion to help others — along with a warm encouragement from her parents — led her to pursue a career in medicine and community outreach. 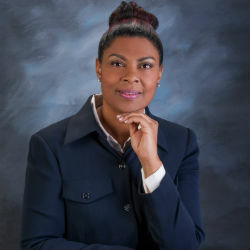 After graduating from Arizona State University in 1993 with an associate’s degree in nursing, Ms. Scott enrolled at Phoenix College and earned a master’s degree in psychology in 2008, with a certification in area psychiatric. After spending several years in the mental health field, Ms. Scott nestled at Indian Health Service, an agency within the Department of Health and Human Services that provides health care for American Indians and Alaska Natives, according to the Indian Health Service website. At the agency, Ms. Scott provides reassuring care and consoles patients through mental health assessments, as well as offering necessary resources to each patient to ensure that they continue to receive care throughout their coping process. Her prosperous career continues to boom as she maintains a reputable image among her patients. She fulfills her dedication to perform community outreach by maintaining suicide outreach programs for the agency, including a dialectical behavior therapy program that supplies suicidal individuals with tools, skills and strategies to help them develop positive and healthy lives. Her efforts were recognized by her colleagues as she received the “Your Idea Popps,” an Arizona statewide honor awarded to healthcare professionals whose revolutionary ideas benefit those they treat. She received two Daisy Award nominations, an accolade awarded by The Daisy Foundation to nurses who showcase exemplary clinical skills and compassion. Ms. Scott has been a member of Fresh Start Women Foundation, an organization that provides support and education to women to positively influence their careers and personal endeavors since 2005. A successful woman herself, Ms. Scott credits her success to her work ethic, personal drive and her parents. Her mother worked for the government and her father worked as a public servant in Arizona, and their passion for their careers influenced Ms. Scott to lead a fruitful profession. In her free time, Ms. Scott enjoys listening to music and volunteering in her community. Her compassionate demeanor frequently leads her to donate to Goodwill Industries International Inc., a nonprofit organization that empowers individuals with disabilities through work. To continue to empower her patients herself, she plans to develop an integrated health center in the future, as well as continue to play a vital role in the implementation of the medical home model at Indian Behavioral Health Center. 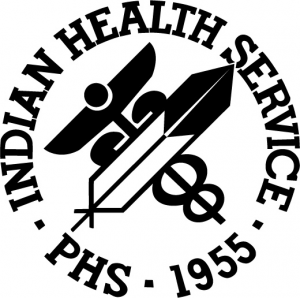 The Indian Health Service ensures that comprehensive, culturally acceptable personal and public health services are available and accessible to American Indian and Alaska Native people. Its mission is to raise the physical, mental, social, and spiritual health of American Indians and Alaska Natives to the highest level. Its foundation is to uphold the Federal Government’s obligation to promote healthy American Indian and Alaska Native people, communities, and cultures and to honor and protect the inherent sovereign rights of Tribes. Received two Daisy Award nominations. Received multiple suicide prevention and intervention awards. Member of Fresh Start Women Foundation, an organization that provides support and education to women to positively influence their careers and personal endeavors. Contributes to Goodwill Industries International Inc.